Airport Commuter Limo and Car Service offers an overview of Atlanta for our limousine customers who like to travel in luxury and comfort, with all the amenities! We compile this information ourselves and keep it as up-to-date as possible, so please let us know if anything is inaccurate. While you're traveling, remember that we can provide Atlanta airport limousine and sedan transfers, luxury Atlanta tours, or just a special touch for a meaningful occasion or a night on the town. 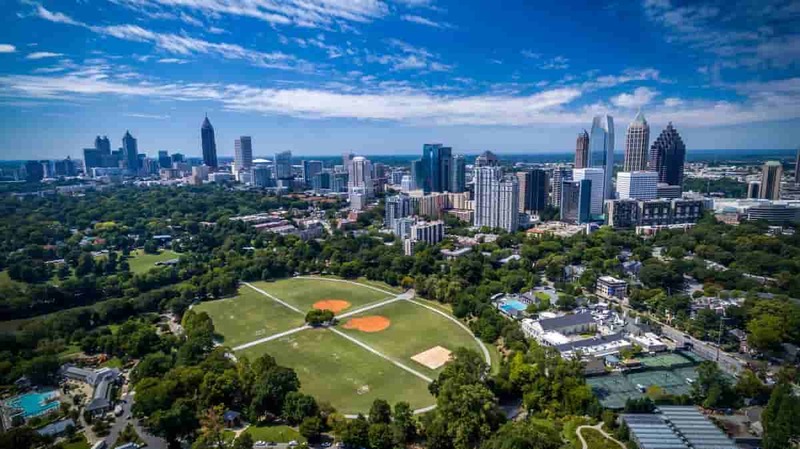 Pictured to the above is a view of Atlanta's skyline from Piedmont Park.